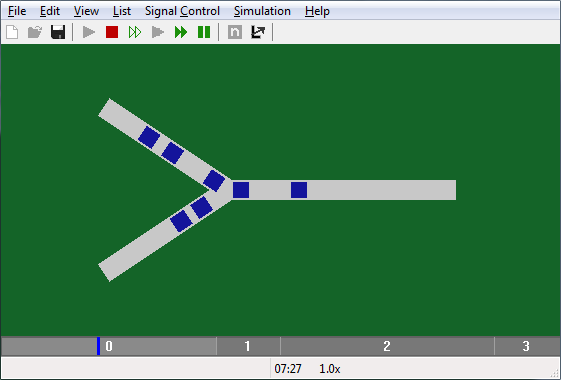 Refreshed GUI using wxWidgets + OpenGL as backend instead of SDL + custom integrated window manager. The grid is now an optional view and edit setting. As an alternative to the symbolic view mode, there is a view mode which show asphalt roads on grass. 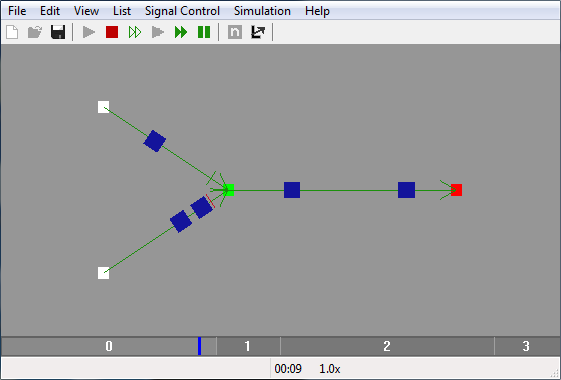 In this view mode, nodes are not displayed, so this view mode is mainly for estetics when viewing a simulation. 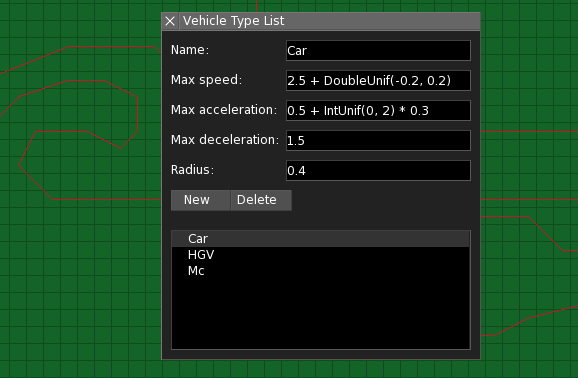 User defined vehicle types. Several attributes allow expressions that can call built in functions. The expressions are evaluated each time a vehicle is generated. Another new feature in 0.2 was limited curve speed.